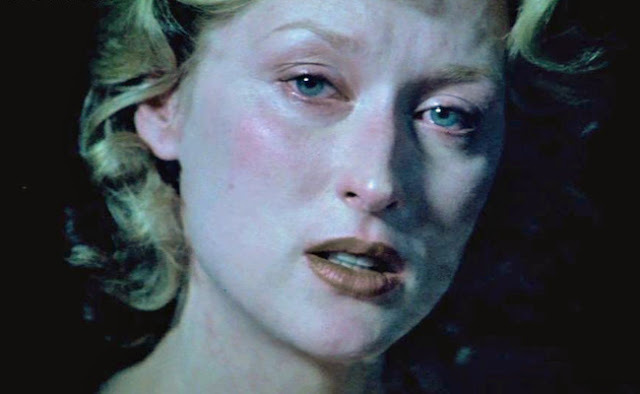 I adore Meryl Streep. Her status as one of the world's greatest actresses aside, my adoration comes in part because she's a handful of years older than me. We kind of grew up and grew older together; Meryl, and me and the rest of us aging boomers. 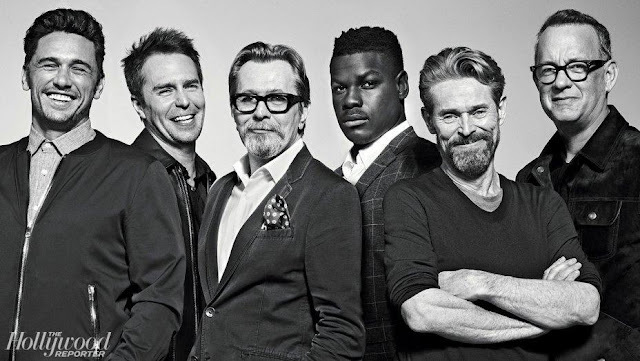 As a boomer, I know Hollywood made Ricki and the Flash just for me, just for all us ridiculous boomers desperately trying to hold onto our rocknroll, hippydippy creds. I sheepishly admit it kinda looks like fun. Fun like Mamma Mia was fun. Fun with a fair amount of wincing and WTF! I might pay to see it in theaters. 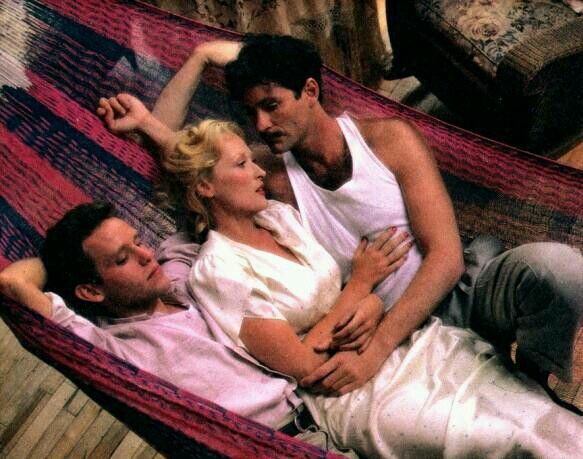 On the other hand I might just stay home and watch Meryl Streep in today's Saturday Matinee. 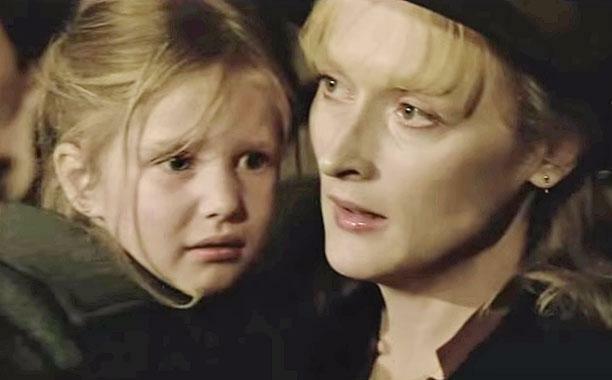 Which Meryl Streep movie to watch? 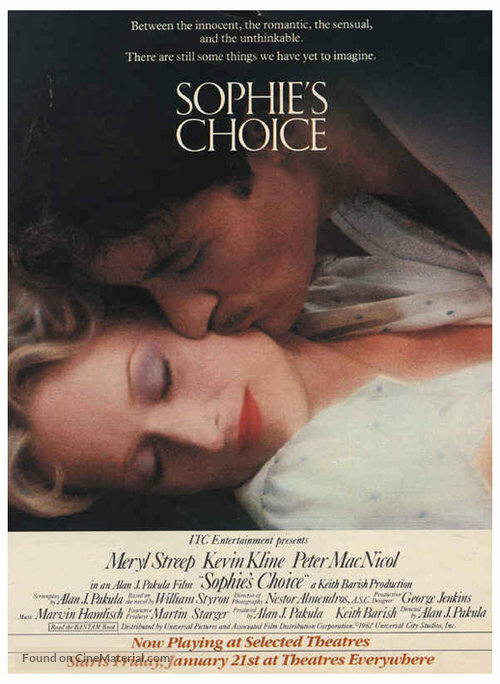 To say my choice is as difficult as Sophie's Choice is a misnomer considering the unbelievably painful choice Sophie actually had to make. Let's just say it's not easy to pick which Meryl Streep movie to pull up from the archives; she's made so many great films. Can you remember the first time you saw her onscreen? Was it Manhattan (1979) or Silkwood (1983) Was it one of her 19 Oscar nominated roles? Nineteen! Her first nomination was a Best Supporting nom for her small but pivotal part in The Deer Hunter opposite DeNiro and Chrisopher Walken in 1978. She was one of the few rays of light in the dark and deeply disturbing film. Her most recent nomination was another Best Supporting nomination for her role as the witch, the dark presence in 2014's Into the Woods. Was it one of her three wins? Kramer VS Kramer (1979) Sophie's Choice (1982) or finally, almost three decades later, her remarkable transformation as Margaret Thatcher in 2011's The Iron Lady. Are you as blown away as I am that she's only won three times? But that only is also a misnomer. Only Katherine Hepburn has won more times than Meryl Streep and that's only by one with a total of four wins. Only Ingrid Bergman, Daniel Day Lewis, Jack Nicholson and Walter Brennan tie her with three wins each as well. Imagine that! 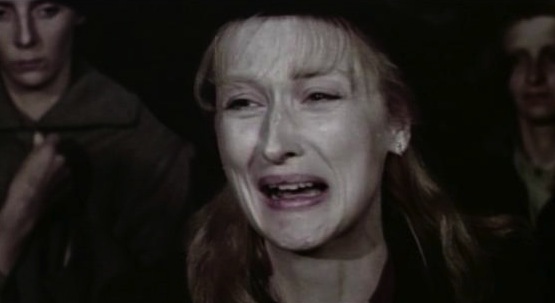 If those were baseball stats Meryl Streep would be in the Acting Hall of Fame. Maybe when the Academy of Motion Picture Arts and Sciences finishes their movie museum in the next couple of years, she'll get her own plaque. Or maybe her own room. 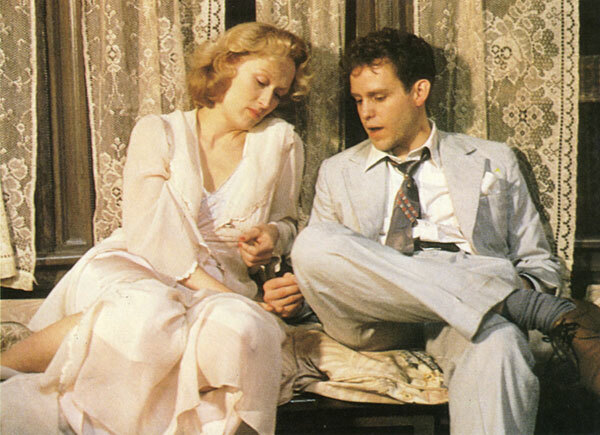 Clearly, we're looking back at Streep's first Oscar win for Best Actress, her outstanding performance as the titular Sophie in Sophie's Choice based on William Styron's achingly beautiful book. 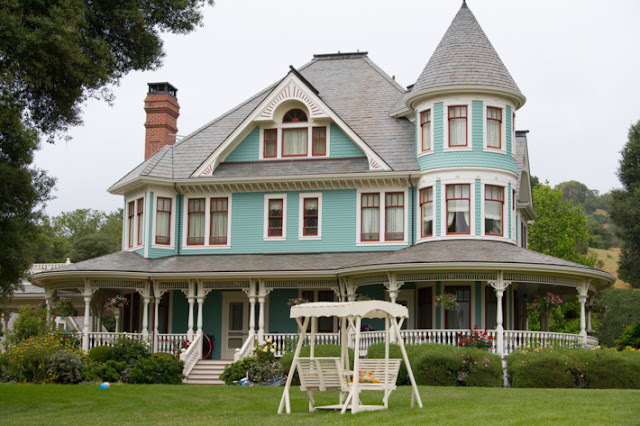 Funny, maybe it's because I'm a writer, much of the novel's charm resided in Stingo, the writer living in the boarding house in Brooklyn, who plays third wheel in the passionate love story of Sophie and Nathan, and who relates Sophie's tragic tale as its revealed, layer by layer. In the film, Stingo was played by Peter McNichol who you see these days on CSI. 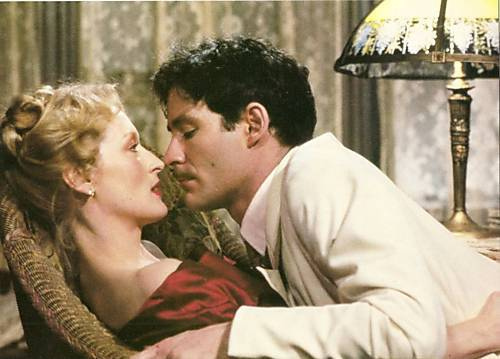 Kevin Kline was Sophie's lover, the fiery Nathan. Kevin Kline, you may have noticed in the ads, plays Meryl Streep's ex-husband in Ricki and the Flash. That's a pretty sweet reunion, wouldn't you say? But it's Meryl Streep as Sophie that punches you in the gut and leaves you breathless. I could layer on the superlatives but written language is no match for how Streep is able to go down into a deep dark rabbit hole and come out of it with something so raw and authentic that it hurts to watch. Let's watch anyway. 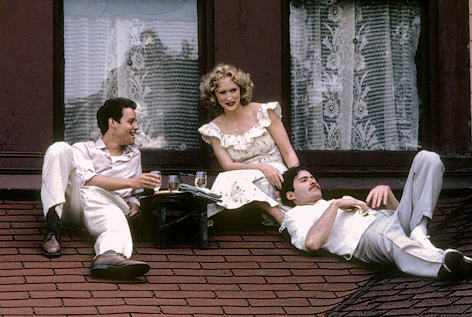 Directed by Alan J. Pakula with an Oscar nominated soundtrack from Marvin Hamlisch, Oscar nominated costume design and cinematography, Sophie's Choice is available to stream on Amazon, GooglePlay, Vudu and YouTube. That's my choice for today's Saturday Matinee. What are you watching?